Five common outdoor kitchen design errors many make with their outdoor room - 4 Life Outdoor Inc. Outdoor cooking has gone from being simply an area with a barbecue grill to an entertainment island. Here are five common outdoor kitchen design errors many make with their outdoor room. Poor layout – The key to a well functioning outdoor space is the ability to cook with ease, have space to carry a conversation and host, and easy access to a fridge, sink and eating area. The cook and grill should be the focus of the outdoor kitchen. To create a space where the chef and hosts can celebrate with their guests, have everything at their finger tips and can create an evening free of unneeded interruptions. The below is a great example of keeping the chef in the center of the action. No matter where the party hangs out, the host can tend to the perfect meal and not miss the party! Complicated outdoor designs – Do not over complicate designs – Keep it simple! If you are installing an outdoor kitchen, the big ticket items you need are a BBQ, prep space /sink and perhaps a fridge. Otherwise, a well-functioning outdoor area can be executed with a modest budget. Stone work is not always needed and creating a kitchen with stainless steel cabinets is an easy way to get a fully functioning outdoor room. Choosing the wrong furniture – Remember, simplicity is the ultimate sophistication. Consider inexpensive but sophisticated soft furnishings as an effective way to style on a budget. Outdoor rugs and cushions are an easy way to inject pattern and interest. Be cautious of furnishing your al fresco area with furniture best suited for inside. Smart selections on low-maintenance and multi-functional products will ensure you have the ultimate outdoor hosting area in no time. If you are worried about upkeep, consider installing a pergola to ensure you have cover, or purchase outdoor furniture covers. If you live in a dry hot climate fire can be a big community hazard. Make sure to check with your local fire regulations before moving forward with any outdoor fireplace. If you are unable to install a permanent structure, there are great ethanol burner options, even some that are integrated into dining or coffee tables. They make a great focal point for a space. How the outside connects to the indoors is a common concern for renovators. Find a visual element to connect the two. It could be building material, accent color or a style of furniture that helps create visual consistency. 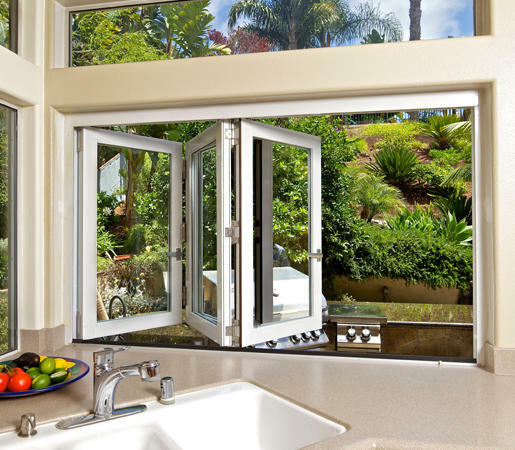 Zones can be linked practically with the addition of a servery window, French doors or sliding glass wall, connecting the outdoor room to the home. 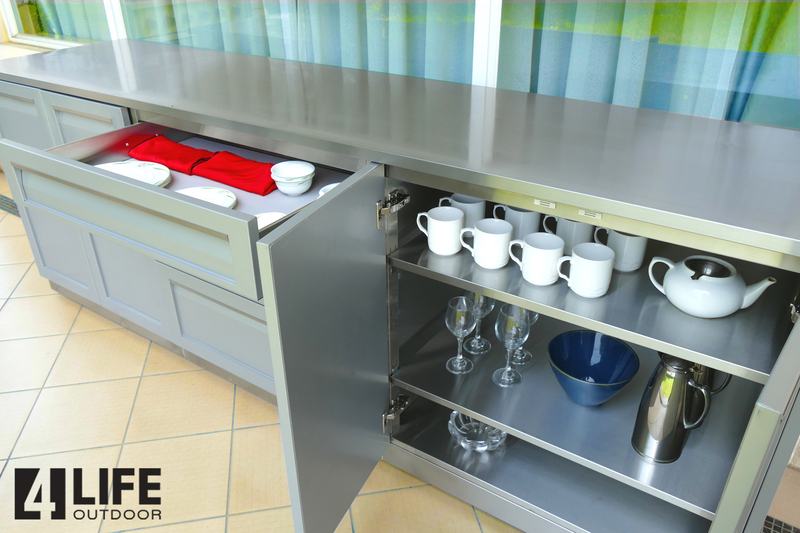 If you need any design help with your outdoor kitchen space, we can help! Just let us know with a note below.